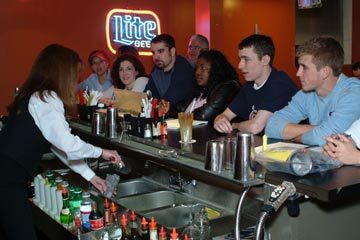 Allentown - Bethlehem Bartending School - The Mixology Wine Institute of Lehigh Valley Serves the Allentown and Bethlehem areas. The Mixology Wine Institute is dedicated to a thorough training program, designed to give each student a comprehensive up-to-date understanding of the bartending field. Professional bartenders are expected to be well versed in the proper mixing of cocktails, wine & beer service, bar operation and management, ordering supplies, handling monies, liquor laws, customer service and responsible bar service. MWI provides the student with the opportunity to develop these skills and enter this field as a professional. Our responsibility to our students calls for impeccable service to ensure that their needs are always met. Since 1992 our success is rooted in uncompromising devotion to honesty and fairness where our students and business are concerned. We stand behind our educational programs and products. We constantly challenge ourselves to be the very best we can in every aspect of our business. 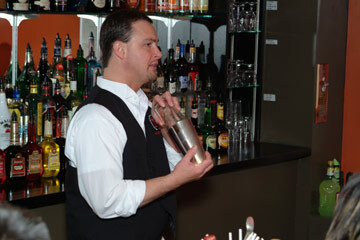 We strive to be an accommodating and flexible organization committed to providing the best bartending education.